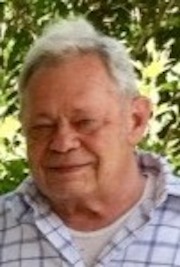 James F. Burgoon, 79, of 29 E. Fifth St., Emporium, PA died at Penn Highlands DuBois on Tuesday morning. (September 4, 2018) He was born January 4, 1939 in Emporium, PA a son of the late Earl and Clara Hornung Burgoon. Attended Emporium Schools and then served our country with a combined twenty years in military ( Airforce and Army). 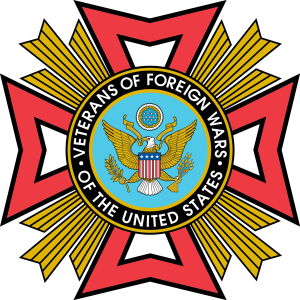 He was a member of the Emporium VFW for the last 20 consecutive years. He was a hard working family man. He ran a local printing business in the 80's and 90's and also drove bus for several years for the Cameron County School District. He also drove truck for Roberts Trucking for 10 years as an Owner Operator. He graduated from triangle Tech and became an Licensed Electrician, shortly after graduation he taught at the school for a short time. He formally retired 2004. He enjoyed fishing, hunting and playing with his Ham Radio's. He is survived by two sons, Andre (Karen) Burgoon, Las Vegas, NV; and Dustin (Brandi) Burgoon, Emporium; one daughter, Clara (Sonty) Finchio, Albion, PA; four grandchildren; two sisters, Beverly Kephart, and Marian (Ken) Schuckers, Emporium. In addition to his parents he was preceeded in death by one sister, Joan Silvis; and three brothers, John, Eugene and Robert Burgoon. The family will receive friends at the Barnett Funeral Home, 207 E. 4th St., Emporium, PA on Tuesday from 2-4 PM followed by a Memorial Service at 4 PM with Rev. Joseph Short, Pastor, First United Methodist Church, officiating. A military service provided by Cameron County Memorial Detail following the service. Burial will be in the St. Mark Catholic Cemetery, Emporium, PA .